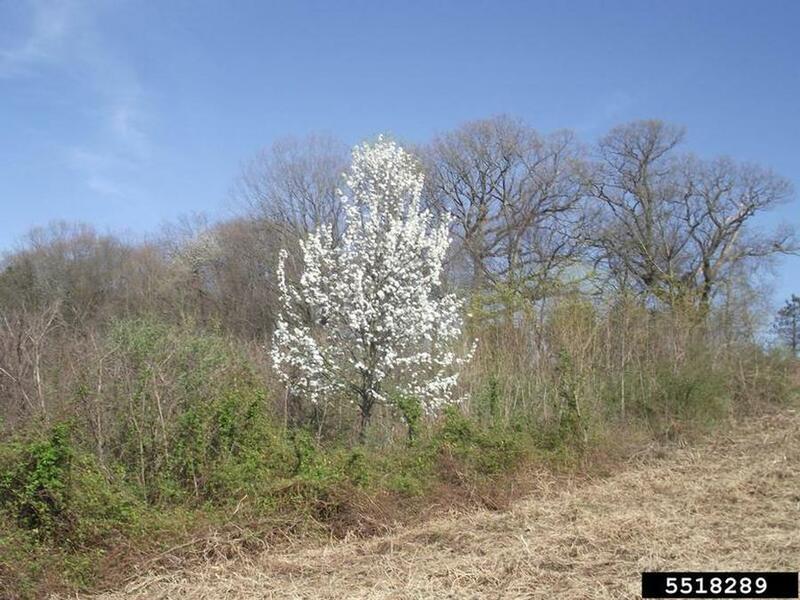 Yesterday we drove down into West Virginia (where redbuds are blooming already…I haven’t seen any here yet) and we saw several empty lots that were full of callery pears, big thickets of them. Really a shame. 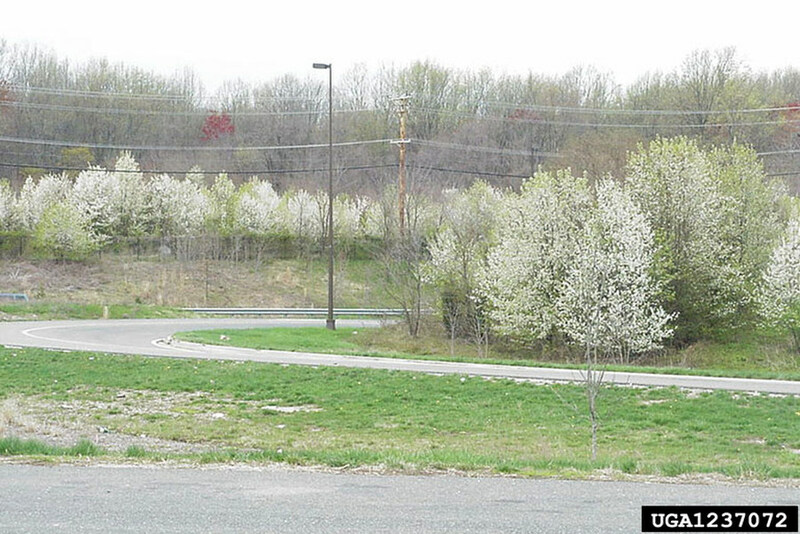 Quite a few white blooming trees on the Westmoreland Co hillside seen from Tarentum/Brackenridge. I presume they are these invasives. Rob, trying to remember the look of that area … Is the hillside wooded and the hilltop is/was disturbed? If those flowering trees are in the woods, they’re probably OK (the undisturbed hillside has some nice trees). But if the trees are in full sun & the dirt was moved around in the past few decades then probably callery pears. And then, there is their famous (infamous?) blossom smell. Kate, we have an ornamental pear tree in our backyard in California. The root stock must have had this in it’s past somewhere because when we bought the house, there was half of it that had those HUGE scary, spikes growing on it. We still have to cut it back often to keep it in check. I had no idea about the history. Thank you for this post!